Wish you could finish projects faster? Stash getting out of control? Solve your problems with the Instant Cowl. 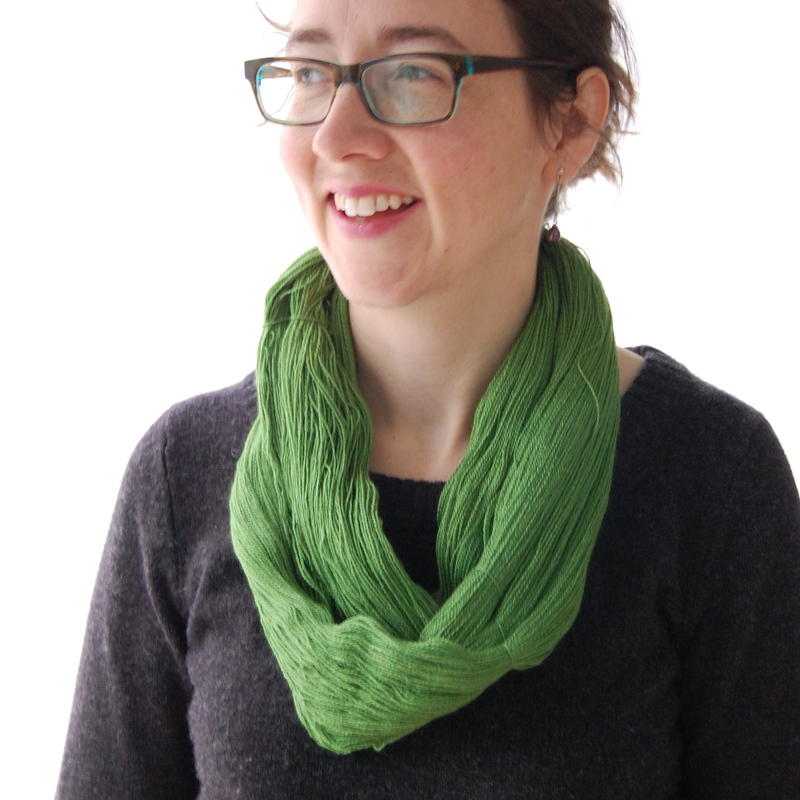 Highly versatile, the Instant Cowl can be made in any weight of yarn you like – from summer cotton to winter wool. Wear it draped singly, or doubled up around your neck to keep chills at bay. Suitable for any ability, knitters from beginners to advanced will enjoy making this pattern. Although this is a technically a knitting pattern, you will find that it is easily adapted for crochet. In fact, I’m so sure that you could make one in a day that I’m offering the chance to win prizes! 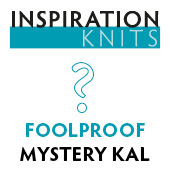 I know a cowl mystery knit-along is rare. This is rarer; it has no casting on and no binding off. It’s made in rows but ends up all in one piece. There’s no knitting in the round, no sewing, no grafting, no provisional cast-on, no picking up stitches. Promise. You can make it to your custom size without having to make a tension square. No kidding. No purling, no knitting. Oh, wait, just joking about that last bit. There is knitting – it’s in garter stitch – with funky stripes and some easy intermediate increasing and decreasing required. It’s an intriguing construction; a real mystery. I love vintage knitting needles, particularly American aluminium needles in sweet-shop shades. I’ve never been particularly drawn to other knitting paraphenalia – until a recent visit to Ida’s House at Unravel, that is. 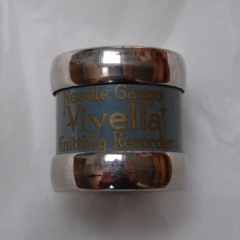 I fell in love with a Viyella “Needle Gauge and Knitting Recorder”. I promised this tiny treasure a blog post all to itself. Viyella gauges are unique and hard to find. I didn’t know this when I saw it; I knew the name Viyella as part of our textile heritage and I just thought this was a beautiful thing. I picked it up. Your hand just closes automatically around its round body. It has a lovely, solid weight to it, a lovely feel. But it is useful too.